Dr. Shifrin loves providing high-quality dentistry to families in the area she grew up in. General dentistry includes preventative and restorative treatments. We offer exams, cleanings, oral cancer screenings, and so much more. You deserve superior quality care. 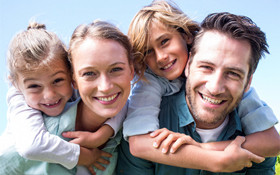 You should feel valued in your dental office, and part of a compassionate family. Our team loves what they do and would be happy to welcome you and all of your loved ones into our office soon. Duluth Dental Center is a full-service dental practice. We offer all of the dental treatments necessary to optimize your smile. Dr. Shifrin always uses state-of-the-art equipment and current dental techniques. One Team to Oversee All of Your Dental Needs! Don’t drive from office to office. Let our team get to know you. Discuss your needs, preferences, and concerns with us. When one team knows you and knows your needs, your quality of care increases exponentially. Regular general dentistry visits are essential to your overall health. We will reduce plaque buildup and catch health threats early for more affordable and successful treatment. Safeguard your smile. You can trust our professionals to strengthen your smile and the smiles of your loved ones for years to come. Schedule your appointment at Duluth Dental Center today!